In An Introduction to Classics, Graham John Wheeler provides a stimulating and thoroughly engaging survey of the life and literature of two great civilisations. A number of introductions to the Classical world for the non-specialist have appeared in recent years, and Dr Wheeler refreshingly manages to avoid the twin perils of patronising the reader and trying too hard to make a case for the ‘relevance’ of his subject. His approach is, rather, to allow the ancients to speak for themselves; the author is a sage guide, selecting and pointing out curious features of the past for the reader’s observation, but Wheeler’s interpretative touch is pleasingly light. 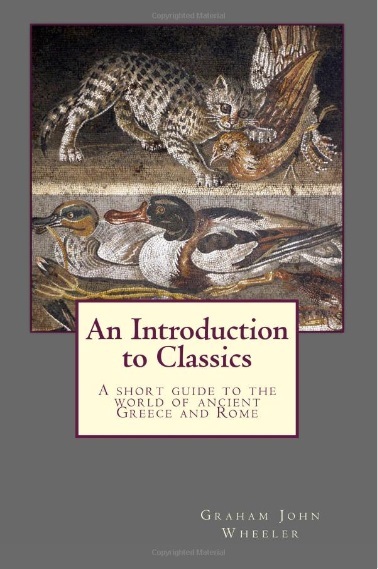 An Introduction to Classics is as sophisticated as it is accessible, as informative it is concise, and as wide-ranging as it is authoritative. An interesting and original feature of this book is its determined focus on language and literature. 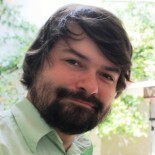 Many introductions to Classics are built around the differences between two civilisations – the Greeks and Romans – but Wheeler weaves this theme into a structure that covers the themes and genres of Classical literature, with chapters concentrating on epic, satire, philosophy, tragedy, oratory, history and pastoral. The author also provides a chapter that directly addresses issues of language and translation. The message is clear: for Wheeler, Classics is fundamentally a literary discipline; it is the business of engaging with the written heritage of antiquity, preferably in the original language, rather than a sort of cultural study of a civilisation that happens to be different from our own. Still less is Classics merely a matter of mining the literature for historical information. Having said this, Wheeler makes no attempt to shy away from the insights of archaeologists and anthropologists, and the book captures well the interdisciplinary nature of Classics. Wheeler avoids the heavy-handed methodology of those who would have us believe the ancients were just like us – by multiplying instances of unexpected sophistication or supposedly contemporary relevance – and instead he redresses the balance by reminding the reader of the profound otherness of the Classical world. It is not enough to read about the Greeks and Romans; to have any hope of understanding them we must read them, and read them as far as possible on their own terms. One of the finest chapters of this book explores the issues of (mis)translation, using as an example the clumsy attempts to replace Latin with English as the language of Catholic liturgy from the 1960s onwards. As Wheeler astutely observes, ‘Translation can be a matter of ideology and politics as much as grammar and syntax’ (p. 85). Wheeler ranges over a vast range of subject matter, deftly handling his chosen themes. The reader is simultaneously aware of a vast terrain to explore behind the vignettes Wheeler provides, and reassured that the author is an authoritative guide. Wheeler does not oversimplify when the complexity and ambiguity of the ancient world is what makes it worth studying in the first place. Wheeler’s Introduction is profoundly scholarly in its approach; the book is introductory because it is selective rather than because it is basic, and Wheeler’s discernment and taste as a Classical scholar are what set this book apart from others in the field. Above all, however, Wheeler’s Introduction to Classics is well written and a joy to read, whatever the reader’s level of interest in or prior knowledge of the subject-matter. This entry was posted on September 24, 2015 by jacobite.